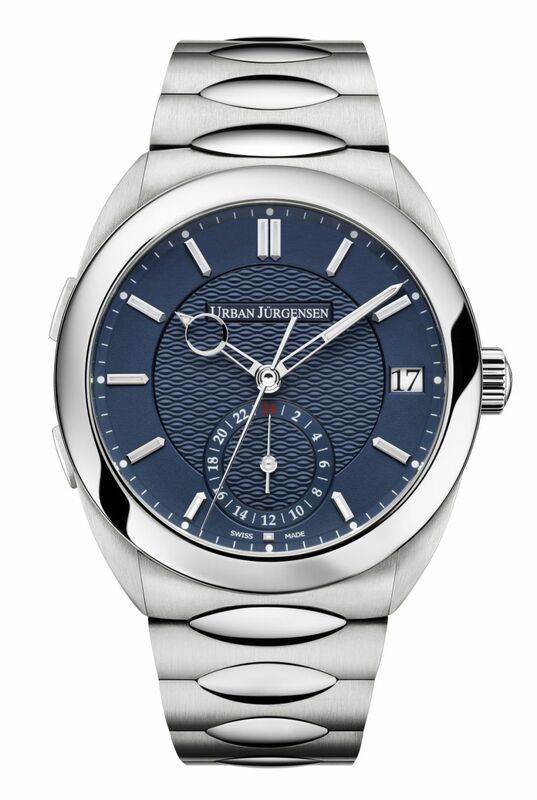 Although wristwatches from Jüles Jürgensen were available since the early 1900´s The arrival of Urban Jürgensen wrist watches came late in the Company history, starting in 1981 with the Ref 1 Chronograph. The Collection expanded but in the near 40 years, less than 1,000 pieces have been made making them truly rare. Their style has always being classical designs, mostly with teardrop lugs and precious metal cases, fine handmade silver dials and with straps in exotic leather. 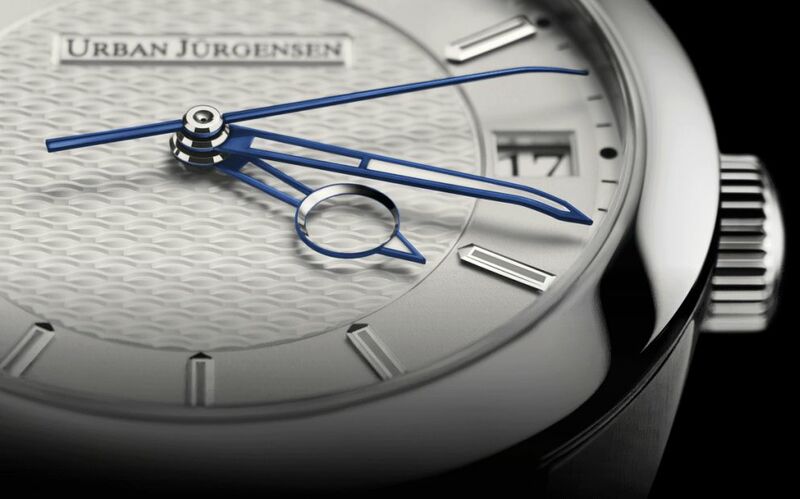 For 2019, Urban Jürgensen takes a bold new step and presents the Jürgensen One Collection with four new timepieces in the luxury stainless steel category. A category that has seen very little real news since its defining era in the 1970´s with Gerald Genta´s designs and their inspired variants. forward/backward correction of the central hour hand with unidirectional date change, sweep seconds and a 24 hour subdial for home time. Both references are crafted entirely from Medical Grade 1.4441 stainless steel, measuring 41mm, and are water resistant to 120 meters. Double sapphire crystals. 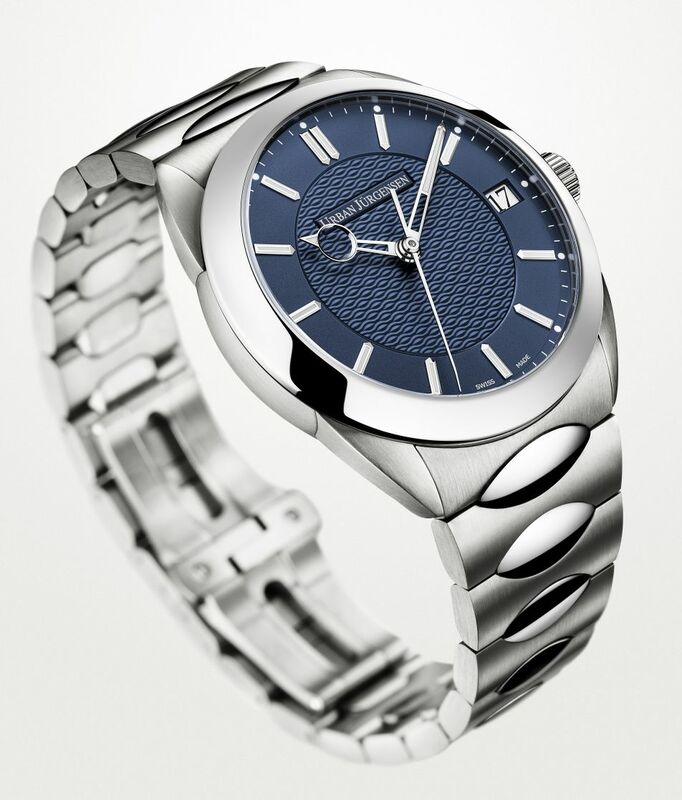 The Swiss automatic U.J. in-house caliber P5 with 34 jewels, 21,600 vph and a power reserve of 3 days, comes in two versions: Automatic 3 hands with sweep second and date window at 3. GMT: 4 hands with sweep seconds, date window at 3 and a 24 hours. Home Time subdial at 6. 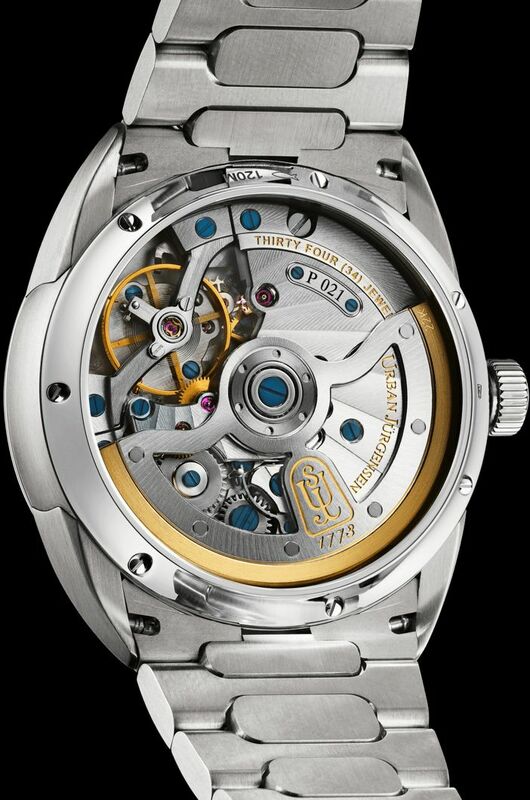 The movement is driven by an open worked rotor with gold inlayed Urban Jurgensen Shield and a 22kt solid gold rotor. Mirror polished steel open worked hands, thermally blued on the Soft White variant. Hands and hour markers inlaid with blue/green SuperLuminova. Maritime wave style grains d´orge dials. 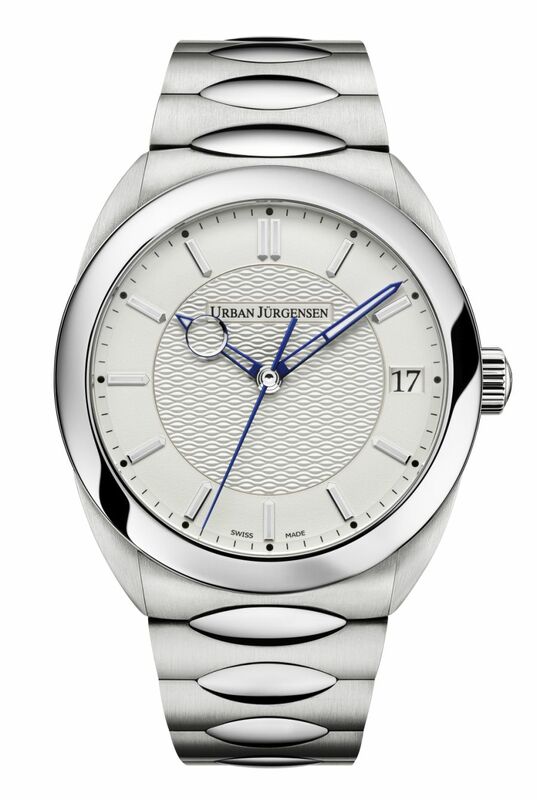 Guilloche dials for the Soft White and in Urban Blue versions. They come with an integrated steel bracelet with butterfly clasp. The new collection is expected to be available at retail starting in April for Ref 5241 and June for Ref 5541 GMT. 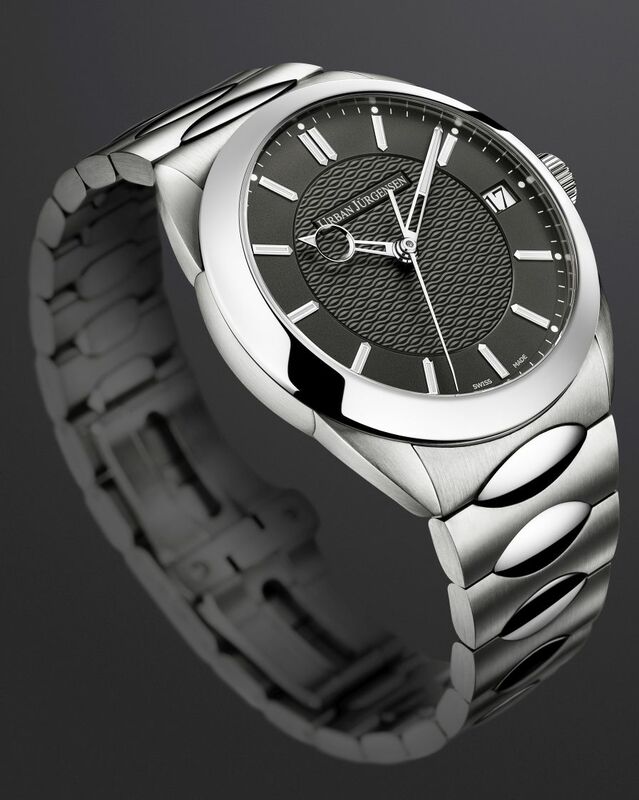 MSRP is 24,500 to 33,500 Swiss Francs.